Economy Auto Mart has been helping people with less-than-perfect credit get a car since 1974. We are a family-owned business serving the Chicagoland area and are recommended by bankruptcy attorneys all over the city. Because we've been in business for so long, we have relationships with finance companies that allow us to get you financed for a car when other dealers can't. 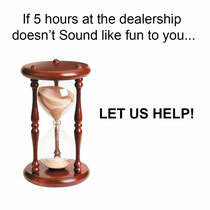 We specialize in newer low-mileage cars and personal service that will help you through the process. We will work to get you approved before you even have to come down to our lot. We specialize in chapter 13 and chapter 7 bankruptcies but can help anyone with credit difficulties. Just give us a call! Since 1974 Economy Auto Mart has been helping people with any type of credit including in bankruptcy CHAPTER 7 and CHAPTER 13.